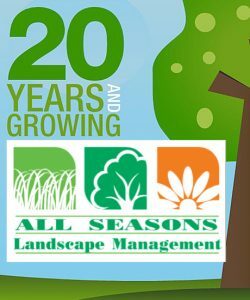 All Seasons Landscape Management has been in business providing since 1994. Rick and Melissa Rogers created a small lawn company that has evolved into a reliable reputable full service outdoor provider for Central Indiana. 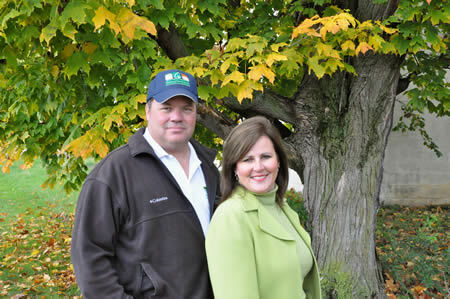 Melissa and Rick oversee each property to ensure client satisfaction. “Treating your piece of earth as if it was ours” continues to be their slogan that represents their commitment to their clientele. We pledge to pursue our work in a timely manner and will operate within your budget. Additionally, we can maintain your design indefinitely for years of enjoyment to allow you time pursue your own demands. Our experienced lawn and landscape maintenance teams have the requisite skills, to handle any landscaping needs you require. We’ll make your residence, neighborhood, or company stand out as environmentally “green” friendly as well as meticulous and welcoming. All Seasons Landscape Management is the perfect choice with our versatile array of services, we insure we can handle all your outdoor needs. We go the extra mile for our vast array of Indianapolis clientele. All Seasons is a fully insured and licensed company. Good Standing with the Industry and the State of Indiana. No contract terminations for default while in business.